Have a "permanent job" do you? No, of course you don't. No one does these days. "The best defense is a good offense," according to a famous 19th century Prussian general. Good advice that people have applied to business, politics, relationships, and sports as well as warfare. Not surprisingly, smart people apply that advice to their careers, too. So, face reality. Even "superstars" lose their jobs. Prepare that good offense as your self-defense. 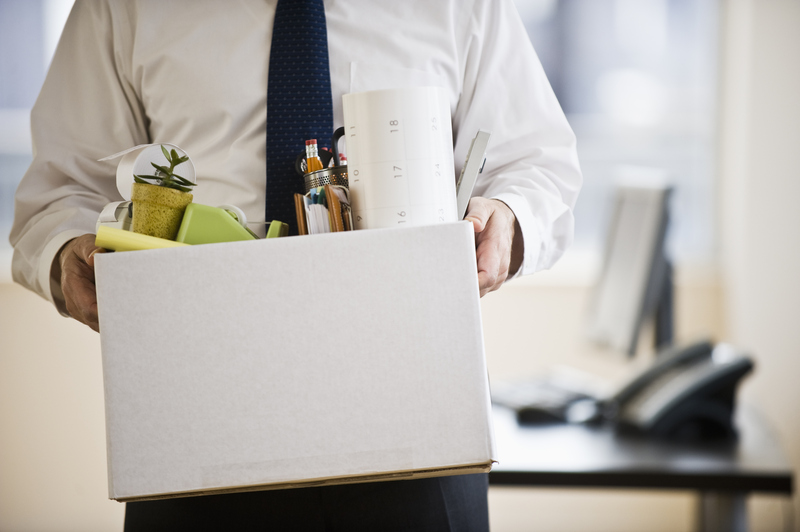 Take these steps so you can bounce back quickly in case of job loss. Ideally, you will be so well prepared that you never lose a day's pay, in case some terrible (and unforeseen) event blows away your current job. 1. Have a complete LinkedIn profile. Think "personal marketing" because that's what your LinkedIn profile is. No need to hunt for your next employer. They are hunting for you! (Assuming you use the right keywords in your LinkedIn profile -more on that below). Not having a LinkedIn profile is not good for most jobs and most employers. Employers and recruiters relentlessly search LinkedIn and Google to find good job candidates. Since Google trusts LinkedIn, your LinkedIn profile is shown to those potential employers doing a Google search. So your LinkedIn profile is a key part of your online visibility and your layoff self-defense. 2. Really, seriously, crank up the content and quality of that LinkedIn profile! Your LinkedIn profile is a very public example of your "work product" - a demonstration of the quality of your work (and all those professional skills you claim, like "attention to detail"). You are being judged by the quality of your profile. Is it a good an example of your work? It had better be. Many job seekers complain to me about how LinkedIn "isn't working" for them. Simply having an officially "All Star" LinkedIn profile isn't enough. When I look at those profiles, the reason they aren't having great success on LinkedIn is obvious. Even a complete profile can be poorly done - sloppy, skimpy, and ineffective. Focus your profile on your future, using your past to show what you have accomplished. 3. Brag about yourself and your employers, shamelessly but factually. This is NOT the time to be modest or to embellish reality! Don't make up accomplishments. Untruths are too easy to uncover today. And don't bury what you do - and how well you do it - in big blocks of text, lists of generic duties and responsible-for items. Your LinkedIn profile should be a much more complete and interesting than your resume. Highlight your accomplishments and successes. Yes, brag about yourself! LinkedIn is the best platform currently available for personal marketing (a great personal offense), so it is an essential element of your self defense. Also brag about your employers on LinkedIn, in your profile and other LinkedIn visibility. Brag about all of them and especially your current employer. Making your employers look good makes you look good, too. Bask in that reflected glory! Plus, highlighting how wonderful they are makes your current employer more comfortable with your LinkedIn profile (yes, they will check it out, and, no, they won't be happy to see a "seeking new position as..." statement). Your current employer and your former employers were excellent in some way. Make that clear. Maybe it was the size (Fortune 1000 bank, most popular restaurant in your city, etc. ), a well-known product or service, or filling a unique need. Perhaps it was founded by someone important or famous. Maybe it won some awards or had some patents, started a new field or became the largest producer of something. It's there - dig it out with Google if you must. If it is a publicly-held company, get the total annual sales out of the annual report (whether or not the company was profitable), total number of employees, total number of locations - something impressive. As usual, if you can't say anything good, stick to the basic facts. But do your best to find something impressive about each of your employers. 4. Pay close attention to your most important keywords. Keywords are the key words to focus for you to focus on for your layoff self-defense. Keywords are the words and phrases used to find qualified job candidates in searches through Google and LinkedIn, as well as resume databases and employer applicant tracking systems. Don't make the mistake of assuming that you know which keywords employers are using to find people like you. For example, assume that you have gone through the training, passed the exam, and earned the right to call yourself a Certified Project Management Professional. This long phrase is often shortened to "PMP certification" or "PMP Certified." Not much difference in those terms, is there? They all refer to the same thing, so no significant difference, right? Wrong! The most frequently used term in job postings is "PMP certification" followed by "certified Project Management Professional." Least used is "PMP certified" and absolutely invisible is "certified PMP." So, if you had earned the certification but used the term "certified PMP" in your LinkedIn profile or online resume, you would not be included in the search results, except, possibly, at the very end (which could be hundreds or thousands of pages). More about keywords and personal SEO from Job-Hunt.org, including how to find which terms are used most often in job postings. 5. Become known in your profession. Raise your personal profile inside your profession, representing your employer as well as yourself. Join the appropriate professional organizations and attend the local meetings, write articles for the newsletter, lead professional workshops, or make whatever other contribution works for you. Be visible online in the LinkedIn Groups for your profession or industry, making intelligent observations and comments, linking to useful profession/industry news. 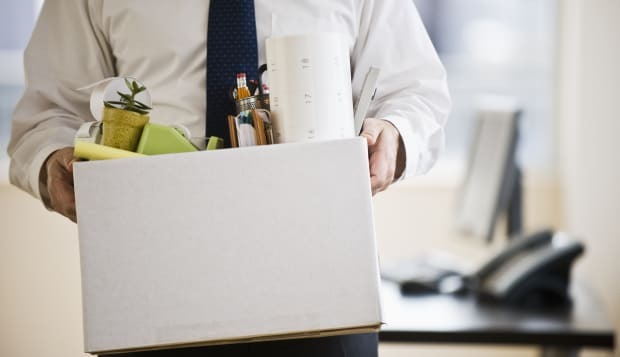 The advantages of layoff self-defense are that you will raise your personal visibility, building a good reputation for yourself as well as your employer. Then, if something happens to your job or your employer, you won't have to start from zero getting the message out to the world about what you can do and how well you do it. The "right people" will already know.